Did someone light up the Bat Signal? Here comes the Caped Crusader! But, hey, he looks a little different. Show your love for Domo. 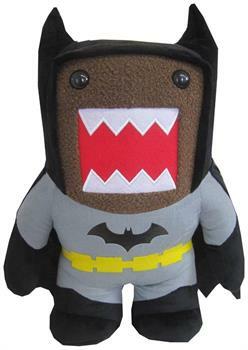 The 6" Batman Domo Plush will be your superhero. Collect them all!